A rapid diagnostic test for in vitro identification of carbapenemase OXA-23-like from culture. It was developed in collaboration with the Institute for Medical Microbiology, Immunology and Hygiene, University of Cologne. 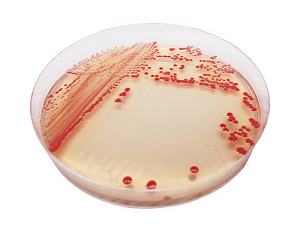 Multidrug resistant Acinetobacter, especially Acinetobacter baumannii, pose a serious threat in the hospital environment. The carbapenem hydrolysing oxacillinases are the most commonly reported resistance determinants in Acinetobacter, amongst these oxacillinases OXA-23 is the most prevelant. RESIST OXA-23 detects this resistance determinant direct from culture in under 20 minutes, therefore offering guidance to appropriate antibiotic treatment 24 hours after the laboratory receives a sample for 'culture & sensitivity'.